If you are like me, you suffer from seasonal allergies. 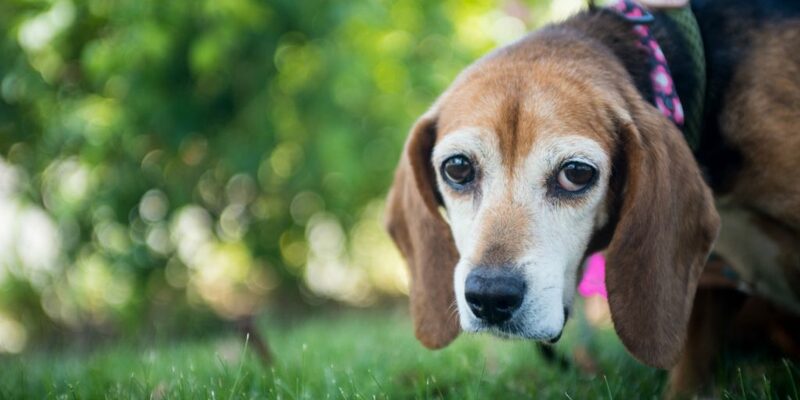 Itchy skin and watering eyes, congestion and a sense of irritation seem to be sure signs of the transition from spring into summer, and dogs can have many of the same experiences. Dog seasonal allergies can turn a calm dog into a chronic and seemingly obsessive licker and chewer, make your fastidious dog a carpet scooter, and more. Did you know that there are two kinds of allergies that dogs experience? They can be allergic to food, or they can suffer from environmental allergies (fleas, pollen, and so on). Hot spots – Dog skin allergies can manifest as areas of irritation, which a dog will lick and scratch until the hair is gone and even scabs form. It can be due to something other than dog seasonal allergies, and always warrants a visit to the vet, but it could be one of the top symptoms, too. 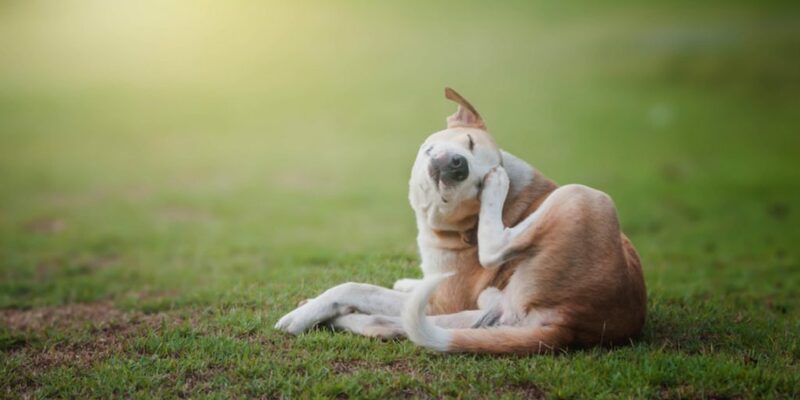 Intense itching, scratching, biting and chewing – This is because the skin has released histamine and is authentically irritated by whatever materials the dog is allergic to. Ear problems and respiratory issues that seem to begin with the change in the seasons. 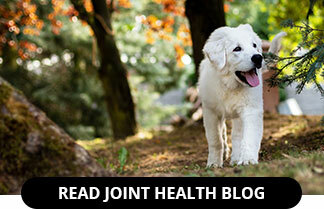 Unfortunately, any dog with seasonal allergies can start to experience them on a year round basis if proper steps are not taken to help them overcome them earlier in life. As the Healthy Pets website says, “The more your pet is exposed to the allergens he’s sensitive to, the more intense and long-lasting his allergic response becomes.” Thus, the pup with allergies at six months will probably have symptoms again the following spring. If left untreated or without the root cause identified, the symptoms will show up sooner and last longer the next year and may become an ongoing issue all year long by the time the dog is in its fifth year. Bathing – Frequent baths rinse away the allergens transferred in from outdoors. This includes allergens that have reached the skin via the coat. Foot baths – Soaking a dog’s feet can eliminate even more allergens that they might bring indoors and then spread throughout the home – increasing their exposure to the most irritating materials. Cleaning – Try to frequently vacuum and keep your dog’s favorite indoor sports as allergen free as you can. This can mean washing and changing bedding during the worst of the allergen season and vacuuming on a more frequent basis. Optimize their immune function – Talk with your vet about the need for shots or vaccinations during any problems with seasonal allergies as injections cause an immune reaction that can worsen the allergies. Switch to an anti-inflammatory diet – Some foods worsen inflammation, and the biggest culprits are grains. Try to get your dog on a diet low or entirely free of grain during the worst of the allergy season (and perhaps all year long). While allergies to food manifest a bit differently than environmental allergies, there can be some overlapping issues. Hair loss, hot spots, ear infections, and inflammation are all related to food allergies. That is an issue that you need to discuss with the vet, however, there are options for best dog food for allergies due to both food and environmental issues. These are usually described as limited ingredient, grain free and/or hypoallergenic. While many will say that making your own foods are the best way to help your dog, it is also a good idea to discuss diet or skin sensitivity foods with your vet. Of course, one of the most common ways to deal with dog seasonal allergies is to get them tested to determine all of the allergens that will cause them problems (including food and environmental allergens) and then take steps to avoid as many as possible and use medications when you cannot. Allergy shots – These are immune modulating treatments that are meant to suppress the system of histamine release. However, they are very expensive and are known for helping only a small percentage of animals who receive them. There is not much research indicating that this is a valid method for properly treating allergies and there are even some instances of dogs experiencing anaphylaxis or shock when first exposed to the compounds. 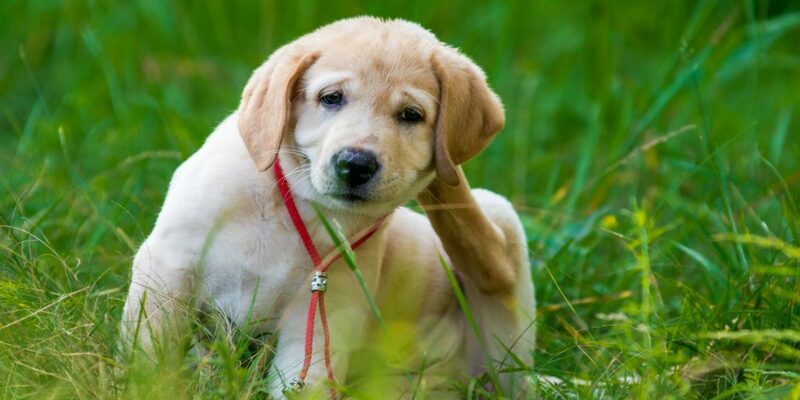 Antihistamines – Taken to alleviate itching, they are not at all effective if a dog has also developed infections in the skin due to their digging and scratching. They also do nothing about the actual allergies. Quercetin is often given to dogs and called a natural antihistamine because it can actually suppress the release of histamine in a dog’s cells. It is capable of moderating the inflammation and histamine response, but not stopping it or helping with the allergy itself, just a response. Antibiotics – Vets can often give you an antibiotic to address a secondary skin infection caused by your dog’s reaction to the allergy symptoms (such as itching), but will not overcome the allergy. Antibiotics cannot be used over the long term, as well, and are often guilty of causing serious digestive upset in dogs given them. Steroids – Just like humans who have serious inflammation, dogs can be given steroids to reduce this issue and stop the itching. However, there are many health risks associated with even short-term use of steroids, including kidney disease, high blood pressure and changes in personality. Immune-modulators – These are drugs that are designed to stop the stimulation and histamine release caused by a dog encountering an allergen. Yet, it only works for about 50% of the dogs given the treatment and is noted for causing major stomach upset and digestive issues. It is often something given along with steroids. There are some natural options, such as fatty acids – omega 3 fatty acid supplements (i.e. fish oil), which are often suggested as they help reduce inflammation and are good for joint, heart and skin problems. However, less than 20% of all dogs are helped by the use of these supplements because for them to work, they have to contribute substantially to the dog’s daily intake of dietary fat. Some use yucca supplements, which are anti-inflammatory and pro-immune health, but are also not effective for all animals. The side effect and ineffectiveness of so many medications, and even some natural supplements, leads many pet owners to steer away from the treatments. Worrying that their dogs will end up ill and unhealthier than when dealing with the symptoms of allergies, they feel helpless to remedy the situation. Though some of the steps outlined (bathing, cleaning the interior of the home, and limiting exposure in both food and environment), work well, there is more that can be done. The natural dietary supplement Vivamune relies on the proven benefits of natural substances to boost a dog’s immune function and support optimal health. At the core of its formula is a unique ingredient, OxC-beta compound. This uses a proprietary form of fully oxidized beta-carotene and improves not only immune function but offers support for the skin, gut, and joints. 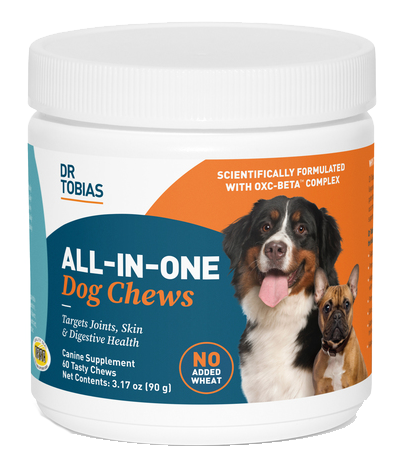 It has been created with dog seasonal allergies specifically in mind and is geared at eliminating the skin-related issues as well as the digestive issues that so many other treatments cause. Touted as an all-around health supplement, it is of particular value to those whose dogs struggle with seasonal allergies and the poor health that is so often a direct result. You don’t have to turn to those common medications and all of their side effects. Instead, you can begin a regular routine of bathing once inside, keeping your home as allergen free as possible, improving the diet by using limited ingredients and/or hypoallergenic foods, and using all natural supplements with ingredients proven to support immune health and function, gut health and skin and joint health. The natural Vivamune product is one such solution and could really help your pup with their seasonal allergies.